The Annual Hunter Stallion Station Horseman’s Day will take place on Saturday, March 18th! 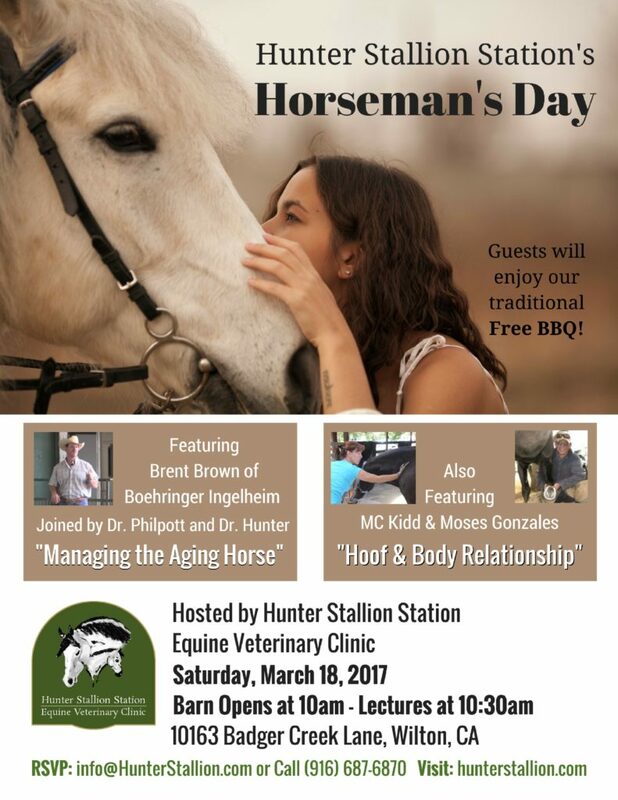 All horse owners and horse lovers are welcome to attend this free event that will feature presentations on Managing the Aging Horse and the Hoof and Body Relationship. Be sure to RSVP so we can be sure to have enough of that delicious barbecue our guests enjoy. Click here to reply online, or call the HSS Clinic at (916) 687-6870.